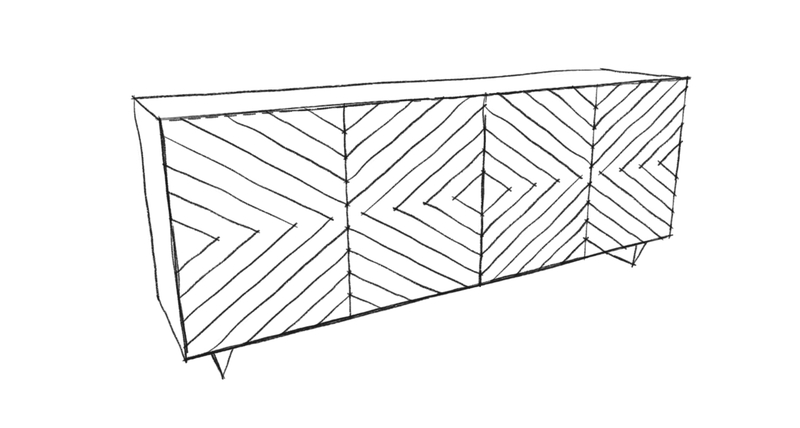 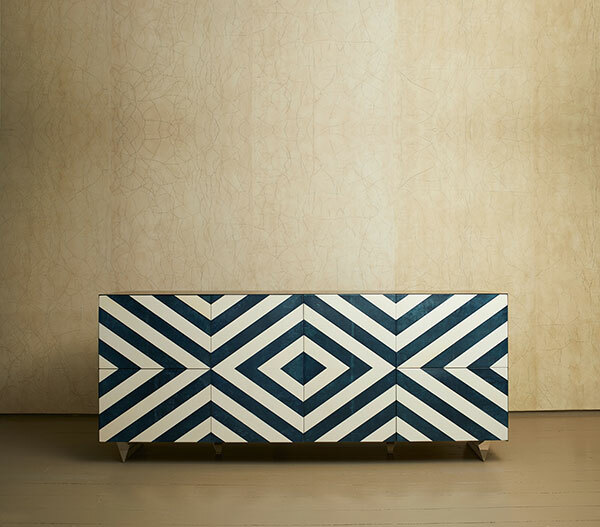 Inspired by plane geometry, I designed this sideboard with segments which intersect each other creating a bold pattern. 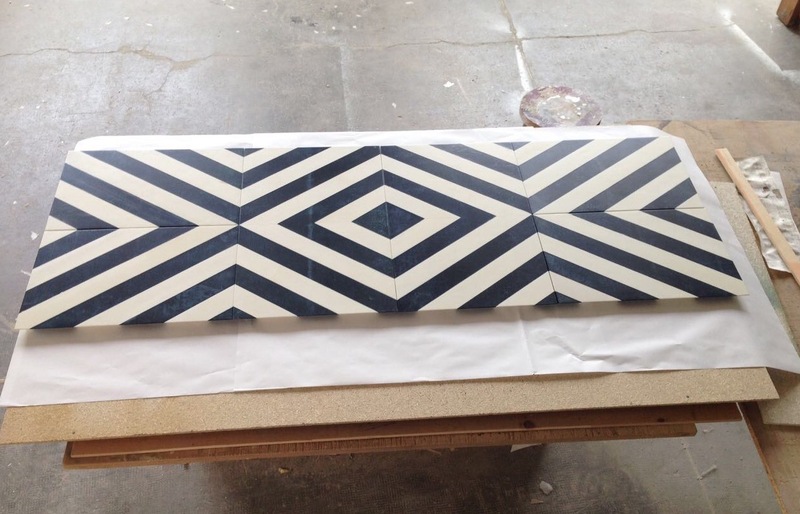 We used parchment dyed in blue and bleached off white to create the contrast. 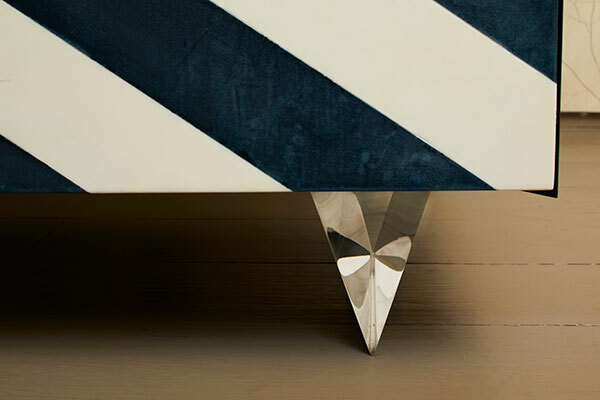 The feet are translucent to lighten the piece, which is finished with a sheet of bronze which wraps the piece. 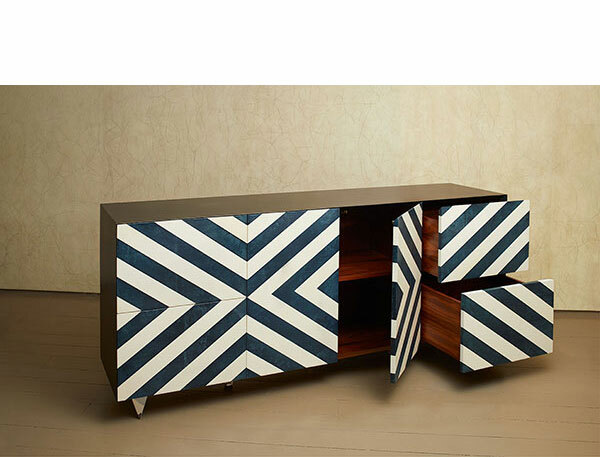 There is plenty of concealed storage, four drawers and two doors with interior shelves, which gives this piece a versatile use.